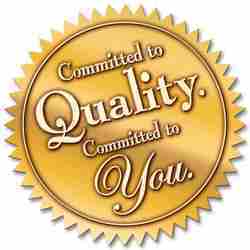 We lay utmost emphasis on providing superior quality products to our clients at nominal prices. To provide superior quality and defect free products to our clients, we have employed qualified professionals who monitor each stage of production. Beginning from the procurement of high grade raw material to manufacturing, until the final delivery. Our competent experts ensure that our products are manufactured in compliance with the industry standards. Further, our range of Flour Mills is passed through rigorous tests and checks before delivery in order to ensure that these are defect free products. We are proud to be acknowledged as a client-centric organization as all of our endeavors are intended to provide maximum satisfaction to our clients. Our organization leaves no stone unturned to manufacture and supply an impeccable range of Flour Mills. These products are developed in compliance with national as well as international benchmarks of quality, which ensures its durability and efficient grinding capacity. Moreover, we stay in constant touch with our clients and consider their suggestions and feedback while developing our products. Our firm is also particular about making a safe and timely delivery of our product line. Additionally, we offer customized solutions along with after sales support in terms of installation training, onsite support, operational training and user manual. All these factors have enabled us to acquire a top position among our valued clients.